I head up the Employment Law team. I enjoy advising and representing a wide range of businesses, charities, schools and private individuals on the full range of employment law and related legal issues. I thrive in helping businesses resolve general issues in relation to Employment Law as well as boardroom and shareholder disputes and employee competition litigation. I am a member of the Employment Lawyers Association and am also a Legal Adviser to The Employment Agency Movement. I have been listed regularly in the main independent legal directories, namely Chambers & Partners and Legal 500 where I have been referred to as “practical and reasonable”, “well regarded” and a “solid practitioner” in recent years. I have been highlighted in Chambers & Partners as a ‘leading individual’ in the field of Employment Law. Outside of the work I am a Trustee of Horsell Common Preservation Society and a member at Woking & Horsell Cricket Club and Woking Hockey club where my sons are active participants. Head of Department David Ludlow advises both businesses and individuals, often representing clients in Employment Tribunals and in employment litigation in the courts, as well as in non-contentious issues. Clients describe him as "very personable, approachable and thorough at exploring the issues." Head of the employment department David Ludlow has a broad employment practice, aiding clients in matters including employee competition and board-level disputes. Clients appreciate his "seamless support and advice." 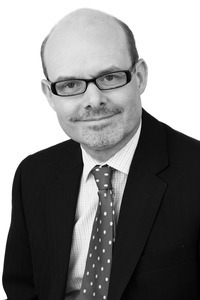 David Ludlow is noted for his expertise in employment tribunal litigation. Team head David Ludlow is calm and clear sighted in his advice."